Would you recommend BUSH to a friend? Whaddup @ProductHunt ! I go by tha name of the bigg boss dogg and trying sumthing new on here today! @ProductHunt @snoopdogg Hey Snoop! What I'm wondering, is if I'm to best support you, should I purchase your album on iTunes? Or should I listen on Spotify / Beats / Rdio or something like that? I'm mostly curious if you have a preference as an artist, or just prefer people to listen to it in a legal way. @ProductHunt @ow Listening 2 the music and spreading the message is the support we need. Buying it off of iTunes/amazon etc or getting the actual record in stores is always the ultimate reward for the artist. @snoopdogg What do you think of Jay Z's new service Tidal? Do you think they have any chance against Spotify? 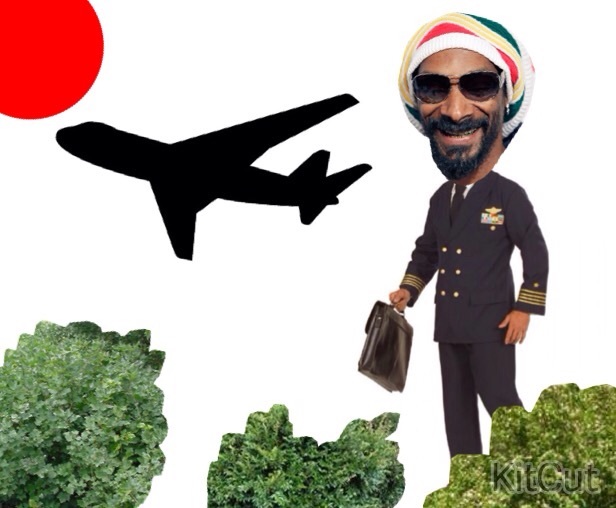 @ProductHunt @snoopdogg what's one place you always wanted to visit, but haven't yet? @ProductHunt @thepaulcurran ive been around the world but I never been in a submarine under the sea. i want to do that. @snoopdogg yes ELON MUSK! Thanks for mentioning him. He's changing our world. Yessss, today’s playlist is set. @snoopdogg - I actually have a tech-related question. You (and your team) are investing in companies like reddit, Philz (nice choice), Robinhood, and others. Why? @rrhoover because we have a passion for new technology, love business and and have found that we have the power to help companies grow when there is a true collaboration there. If you look at tha companies that we support you will realize that they authentic to the Snoop Dogg brand. We can't fake it, it has to be authentic. At the end of the day you gotta be in it 2 win it Jacc! @ryanhoover @snoopdogg Snoop's embracing of new tech, particularly as a major label artist, is refreshing, and could possibly set a larger trend. No reason that other independently-minded major artists like Radiohead or Nine Inch Nails might not also explore sites like Product Hunt for album releases. PH actually provides a temperate avenue for them, sitting nicely far enough away from traditional avenues to allow for new possibilities, but not so close to the indie level that these artists risk steamrolling their independent peers. Could provide a scenario in which they win more than they would on iTunes, but don't have to feel as though they're bullying smaller independent artists. @ryanhoover @adammarx13 The artist who can put it all out in one app. That is going to happen soon. Its been tried but the tech and the innovation is about to fall inline with the art. @ryanhoover @snoopdogg @adammarx13 Ok but I think it should be in a different category don't you think? It's not so per se a product or service right? I think it would dilute the whole thing. I mean if this starts to become a promotional tool for artists it defeats its original purpose I suppose... and then become like myspace, a promotion tool that turns wrong. SOMEBODY tell me where @timferris is at ? i need him on tha GGN. @snoopdogg what is the secret to Pharrell's eternal youth? @samsabri He stays happy n he got those good genes.